Some of these industry tricks you need to know to get a loan with better terms and conditions. It is well known that lenders consider key criteria such as your income level, credit history, repayment capacity etc. while assessing your eligibility for a best personal loan. However, a number of trade tricks that lenders know about are hidden behind these obvious considerations. 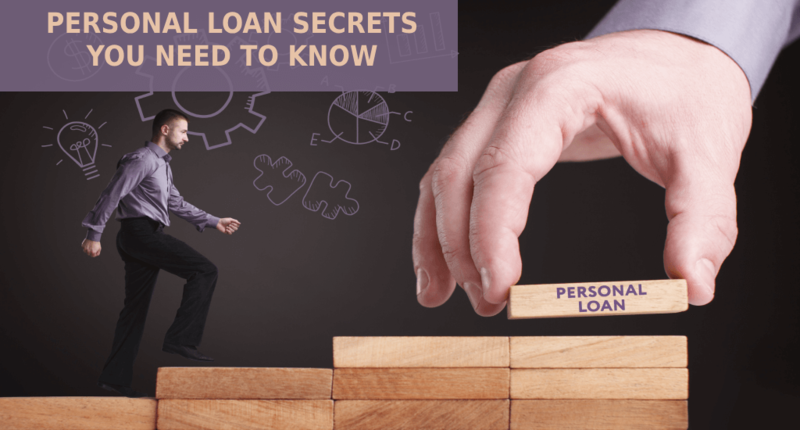 Here are four secrets that make borrowing easier and will give you an edge when negotiating with lending companies. A best personal loan EMI calculator is a great tool to help you calculate your monthly payment and how much your loan could cost. You can enter different values to compare costs and decide what loan amount and tenure you can ultimately afford. Lending institutions might get in trouble if they were to refuse a loan application based on age alone. This would be a classic case of age discrimination. However, your life stage can often play an important role in deciding whether you are eligible or not, and too older or too younger individuals may face difficulties in finding a loan. At the end of the day, lenders are primarily interested in being repaid in full. Based on their historic experience, if lenders think that certain age group can’t be trusted as readily as others to repay the loan, they may decline and process the application accordingly. Finding a personal loan can be difficult for an 18-year-old or a retiree, but they can compensate for their age by showing other indications of financial reliability such as a credit score, low-debt-to-income ratio, a co-applicant etc. There is difference between your credit score and credit history. They’re not quite the same thing and many lending companies will consider both. If you’re applying for a loan, you should probably be aware of your credit score. It is a 3-digit number that ranges from 300 to 900, and a good credit score starts from 750 onwards. Lenders use it to get a snapshot of your financial strength. Lenders also consider your credit history for a more in-depth look at your needs. This is a detailed account of relevant transactions, including live credit accounts, current balances, recent inquiries, bankruptcies, late payments or defaults and more. Fixing your credit history can be more difficult than improving your credit score, but both are important. Sometimes your application for a personal loan might be declined by a “robot”. This is often more common with online lenders, because it is one of the tools they use for fast approval, sometimes within the hour. Banks and other lending companies often use their own algorithms to check the eligibility of loan-seekers, automatically separating the low-risk applications from the high-risk applications to preapprove strong applications. It can be a way of sorting out potential applicants who don’t meet the initial eligibility criteria. If you want to apply with a lender that requires preapproval, you must review its eligibility requirements to avoid wasting time on applications that go nowhere. For more information about the personal loan, you can go over to personal loan page on Afinoz.com. Afinoz.com is India's foremost online financial marketplace for availing loans and investments. Our main objective is to make the process of getting a loan or making an investment safer, convenient and hassle-free for individuals. We work with public and private banks, NBFCs and mutual fund houses across the entire country and offer an unbiased quotation on financial products. You can contact our team to get more information or apply for a loan or investment by calling on +918795021552 or by emailing at info@afinoz.com. Afinoz.com provides solutions which are quick, reliable, transparent, confidential and above all free.